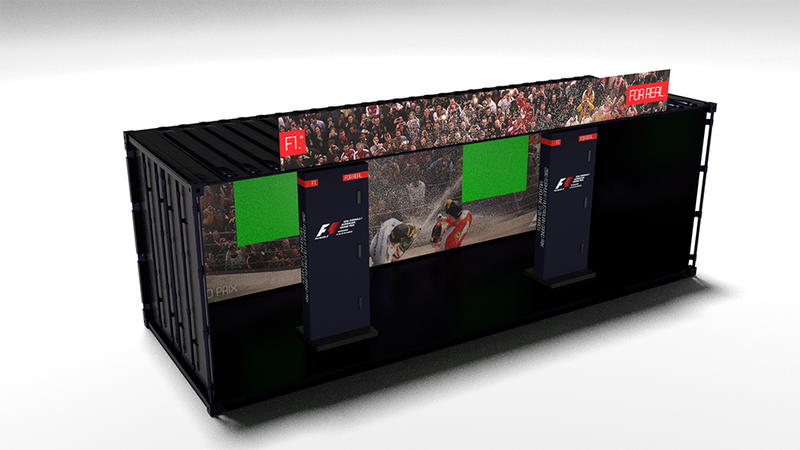 The F1 Magazine Cover Booths allowed F1 fans to become a F1 driver, posing on the cover of a magazine. 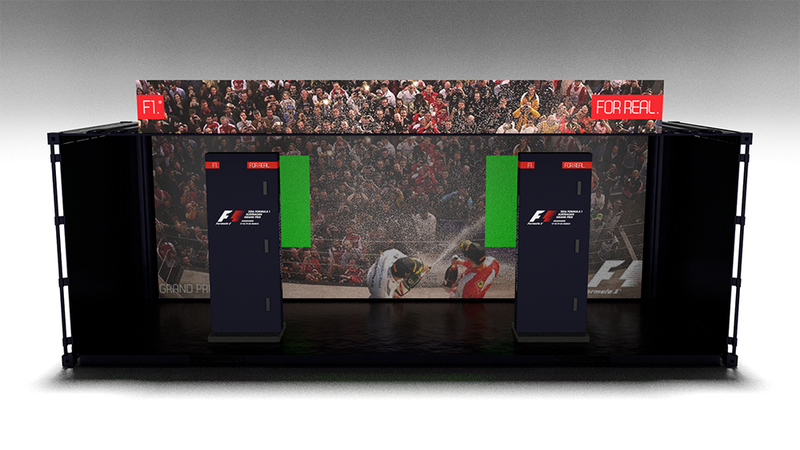 Fans stood infront of the F1 Magazine Cover Booths to have their picture taken. Using state of the art facial recognition software, their face was "cut-out" and placed onto the body of a F1 driver, making it appear as though the person was part of a magazine cover. The magazine cover image was then sent to the persons email so that they were able to share it with their friends via social media. 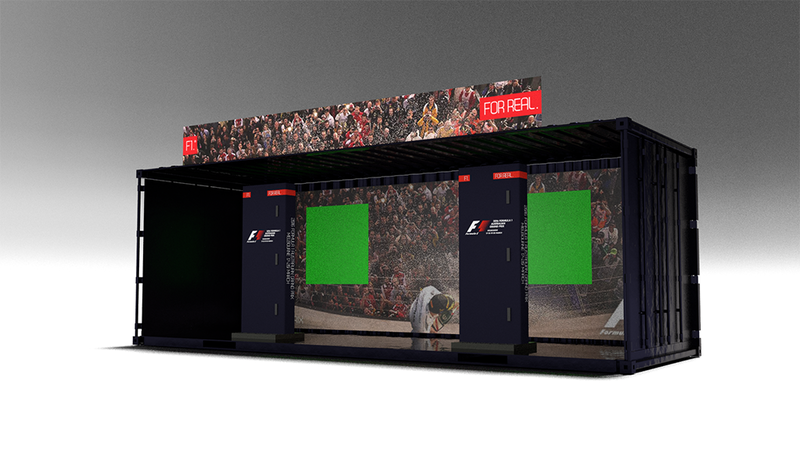 The F1 Magazine Cover Booths were placed inside of a shipping container for ease of transport and activated during the weekends leading up to the big race and also during the entire race day weekend.